Testo's data loggers are your tool to help a number of industries. There's only one thing more important than revenue, and that's data. At the very crux of everything that makes a company tick are the numbers that show you why it's ticking, or why it isn't. Industries such as food, health, pharmaceutical and HVAC-R through to production, storage and transport of goods all rely on accurate data to ensure the needs of every user are met. And to get an accurate measurement, you need reliable instruments. We can help with that! The testo Saveris 2 logger series helps you monitor in real time and from anywhere making it ideal for those in charge of store and work rooms. Having the ability to measure temperatures from your smartphone or device reduces inaccuracies, as well as the time it takes to respond to them. 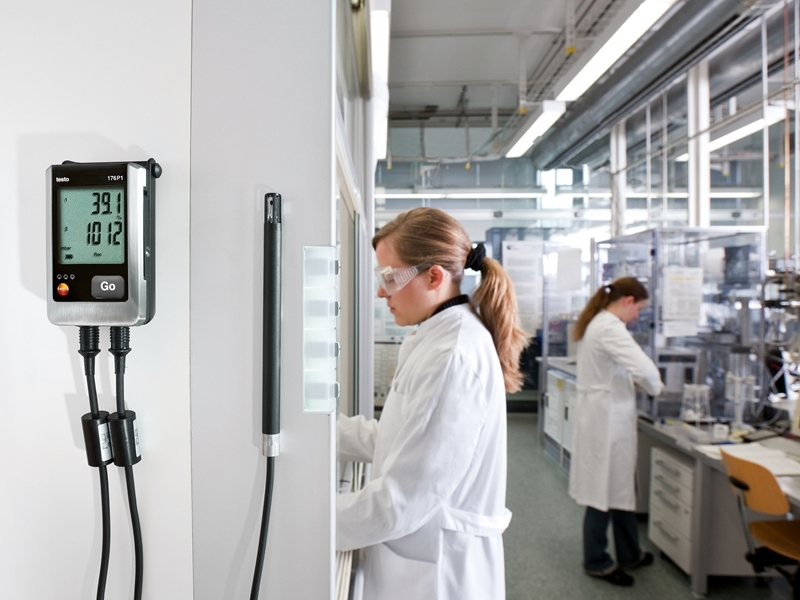 The testo Saveris 2 data logger in action monitoring storeroom temperature. 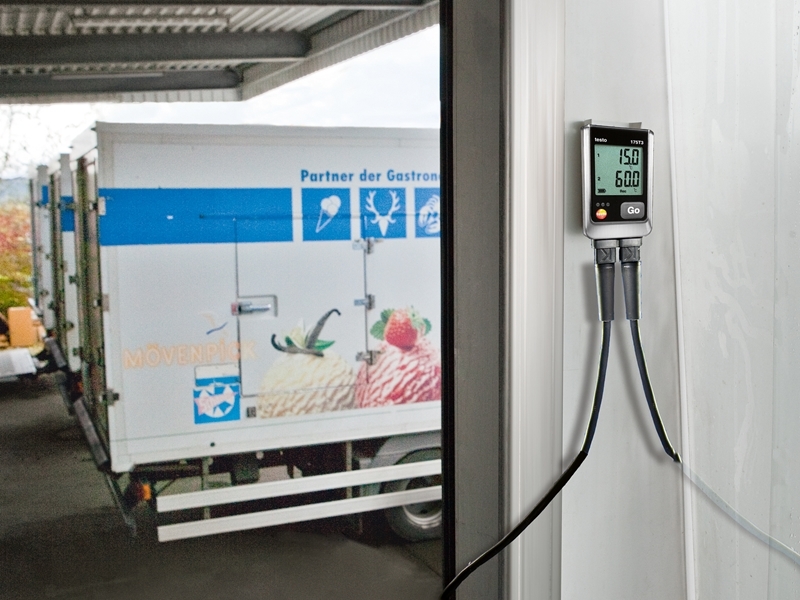 The testo 174 series monitors temperature (174T) and humidity (174H) of storerooms or refrigerated units continuously and reliably on an easy-to-read display. In order to prevent damage to products, this series is essential for mobile transport and storage as they rely on short-term data and frequent, dependable instruments. Best of all, this data can be shared on a smart device or computer quickly and easily. As a laboratory is an incredibly sensitive environment, it's important that those in charge have access to measurement values of air quality to ensure everything is as it should be. The testo 176 series of loggers are ideal for those working in laboratories as they are designed to record and store data with a display that can be read when necessary. The testo 176 ensures your laboratory's environment is as it should be. If you need a data logger that can handle rough conditions, the testo 176 T1 has a metal casing that protects it from high mechanical influences and hard impacts. These are ideal for recording and storing data over a long period of time in industrial environments. From cold chain in transport to accepting incoming goods, the range in the testo 184 series will help you monitor your most sensitive goods every step of the way. Ideal for short-term data storage, this series of data loggers is crucial to those in pharmaceuticals, food and electronics industries who are constantly on the go. It's important storage facilities maintain a safe environment for the people in products within the building. 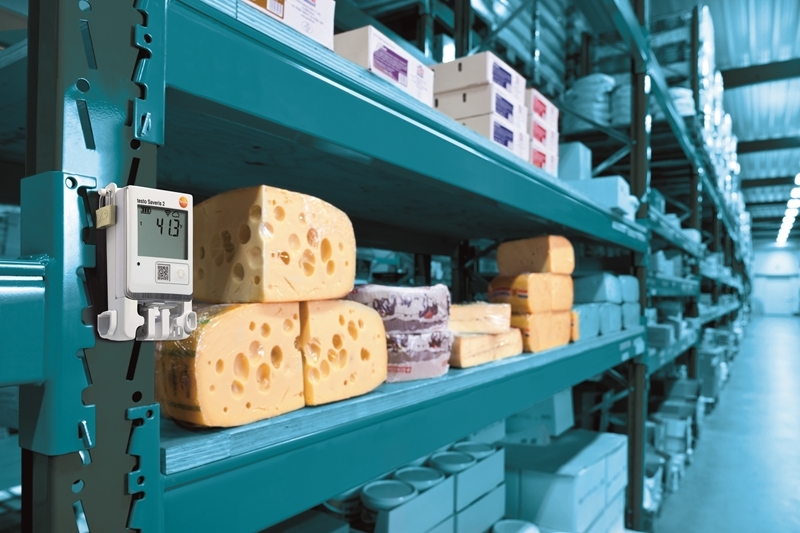 The testo 175 series is optimal for storage facility managers so they can monitor storerooms or refrigerated units over a long period of time, allowing them to ensure the environments are always well maintained. Keep track of everything that comes into your storage facility with testo 175. If you're not sure which data logger is right for your use, be sure to consult our product advisor. We'll help guide you towards the right tool. To learn more about Testo's range of data loggers, contact our knowledgeable team today.